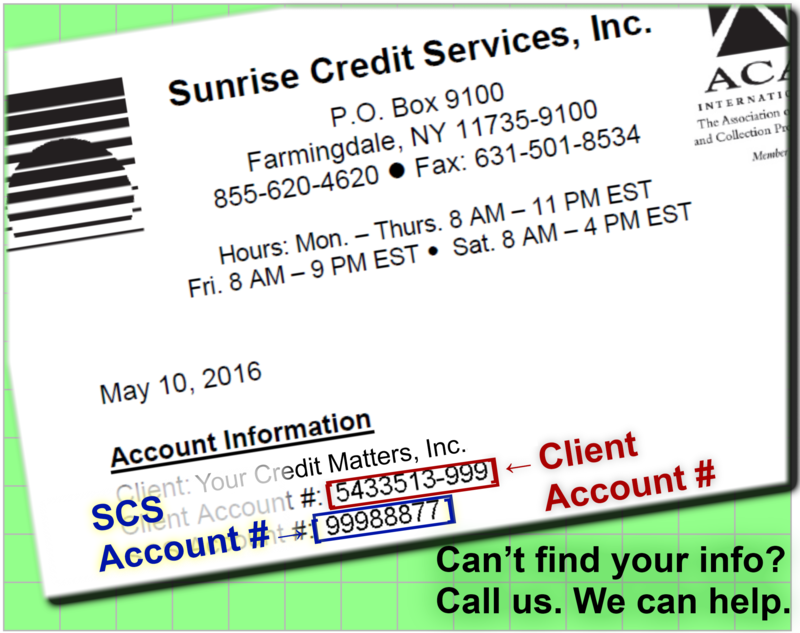 Go Green Opt-Out | Sunrise Credit Services, Inc.
How do I find my SCS Account Number? I wish to opt-out of the Go Green e-mail notifications. WARNING! 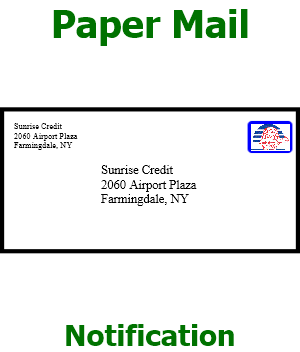 This web site is only available for the person to whom it is intended. If you are not authorized, please go no further. We may monitor and audit the usage of this system; all persons are hereby notified that the use of this system constitutes consent to such monitoring and auditing. You can opt-in by clicking here.